I had the pleasure of meeting author Robert Zubrin at the Mars Convention in Washington, DC this summer. He is the current president of the Mars Society. We are all excited to see the new “National Geographic’s Mars “documentary for television. In 1955, Werner von Braun teamed up with Walt Disney to produce a three-part TV series laying out America’s space-faring future. With a record-smashing viewership of 40 million people for its first episode, “Man in Space” played a decisive role in putting the challenge of sending men to the Moon squarely in the mind of the nation. Just 14 years later, we were there. Now, with the soon-to-start six-part National Geographic TV series Mars, acclaimed filmmaker Ron Howard (Apollo 13) aims to repeat the same feat but this time specifically with the Red Planet squarely in his sights. Mars uses a challenging and somewhat novel format, splitting its time, and time periods. About two-thirds of it is devoted to a dramatic story about an international crew of explorers going to Mars in the year 2033, getting into trouble, and having to pull together to get out of it. The rest of the film is a documentary about the people in 2016 who are striving now to make it happen. I was present in Manhattan for the series premiere October 26, and I have to say I thought it came out rather well. (Full disclosure: I have a bit part as one of the year 2016 gang.) There can be no question that the drama is well done and exciting. It pulls the story along in a way that makes it far more engaging than standard documentary fare, while the documentary material does enhance the drama, albeit perhaps not as markedly. Think of the movie Reds with the time relationship between the drama and the commentary reversed, and you’ll get something of the idea. The story line has obvious similarities to that of the movie The Martian, but with this important difference: The Matt Damon character in The Martian isn’t interested in Mars. 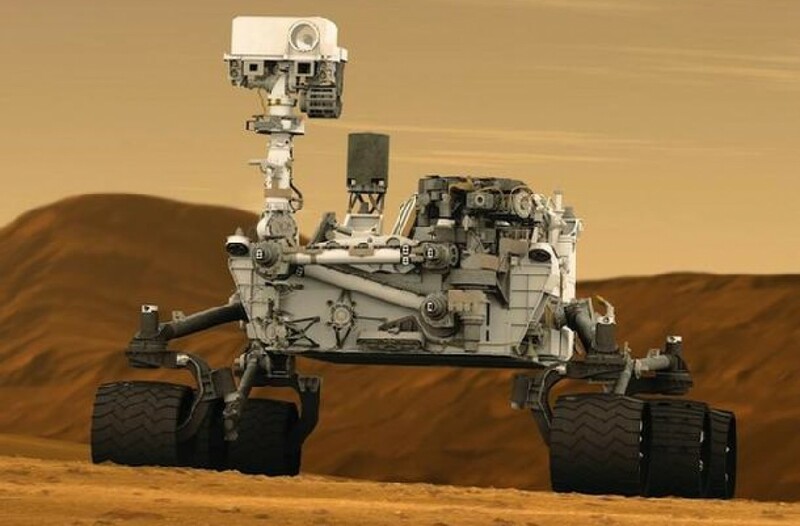 He doesn’t care about the search for life on Mars, or about Mars as humanity’s new frontier. He just wants to get home. In contrast, Howard’s ensemble crew is fascinated by Mars. For them, the Red Planet is not just a place of peril; it is also a place of wonder. So while Mars may not have the star power of Matt Damon, it has something that The Martian lacks: the star power of Mars. Don’t miss the premiere of National Geographic’s MARS global event series, scheduled to begin on Monday, November 14th at 9:00 pm EDT.